Ever since I started my DIY projects, I’ve only been making quick and lazy meals, that is if I decide to cook at all instead of going to the closest fast food drive thru. Well here’s another one in my bag of easy, breezy, lazy comfort food. 1. This is optional but I prefer to have potatoes in it. 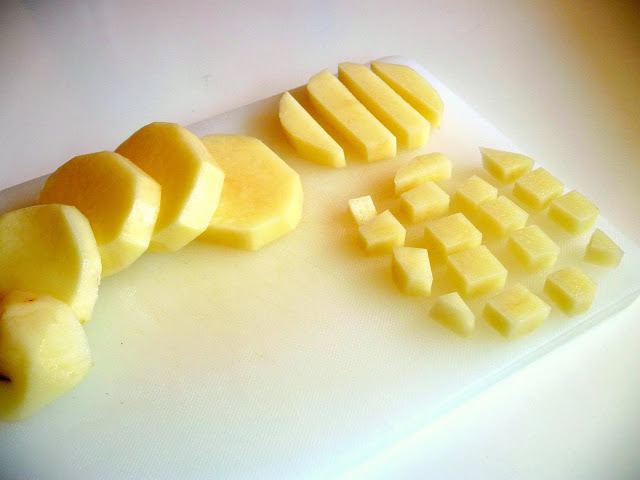 Fry the diced potatoes until golden brown. Set aside on top of a paper towel to absorb excess oil. 2. Heat up cooking oil. Saute garlic until it starts to turn golden brown. Add the onions and sauté until glassy. 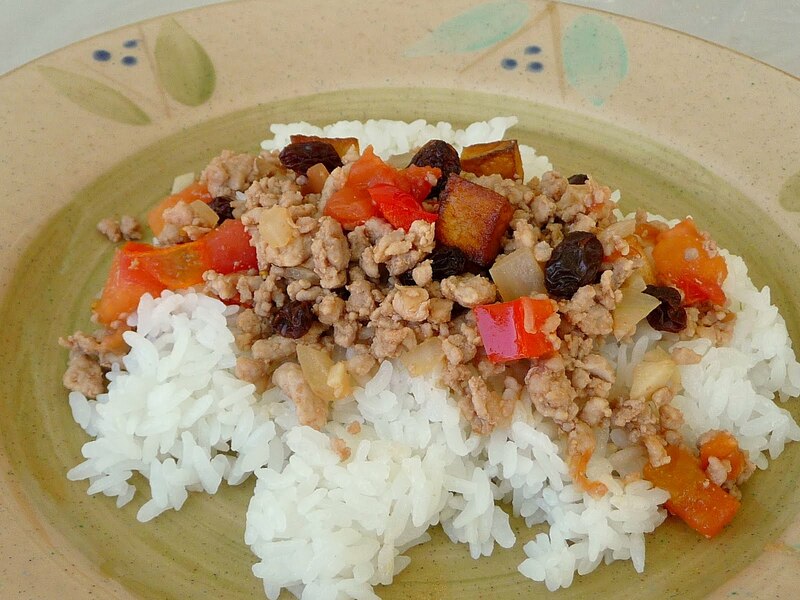 Add the ground pork and stir constantly to prevent the pork from clumping. Cover the pan and simmer for about 5 minutes or until the pork is cooked. Remove the extra oil released by the pork. 3. Add the tomatoes and red bell peppers. Season with soy sauce to taste. Cover and simmer again for about 5 minutes until the tomatoes and red bell peppers are cooked. 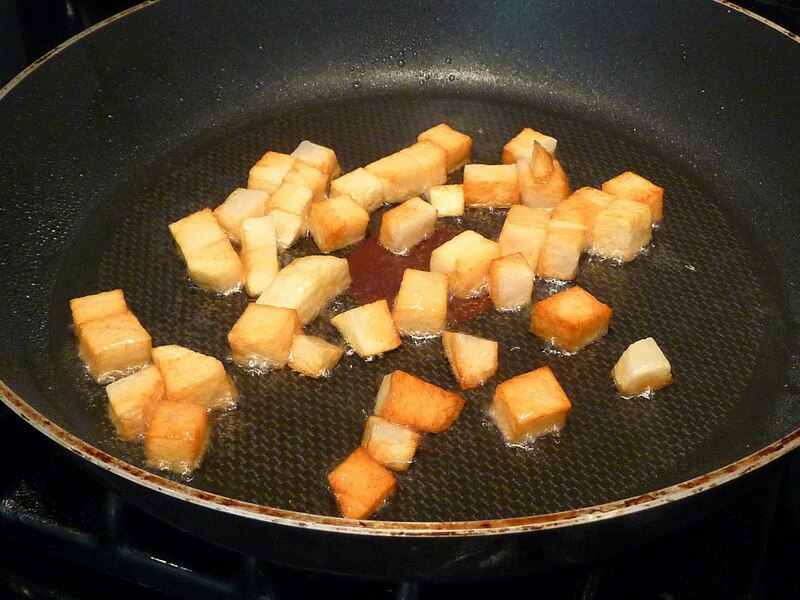 Turn off heat and add the fried potatoes and raisins. Serve over a bed or rice. 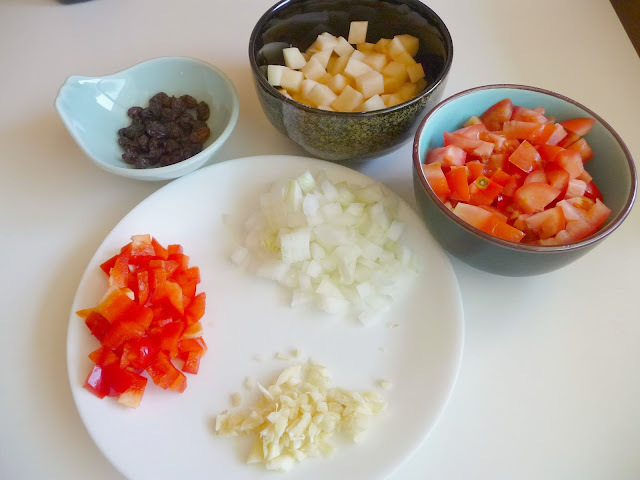 Basic ingredients: On the plate are garlic, onion, and red bell pepper. On the bowls are raisins, potatoes and tomatoes. The evolution of a potato. Fry the potatoes until golden brown. The fried potatoes add a bit of crunch to this dish.